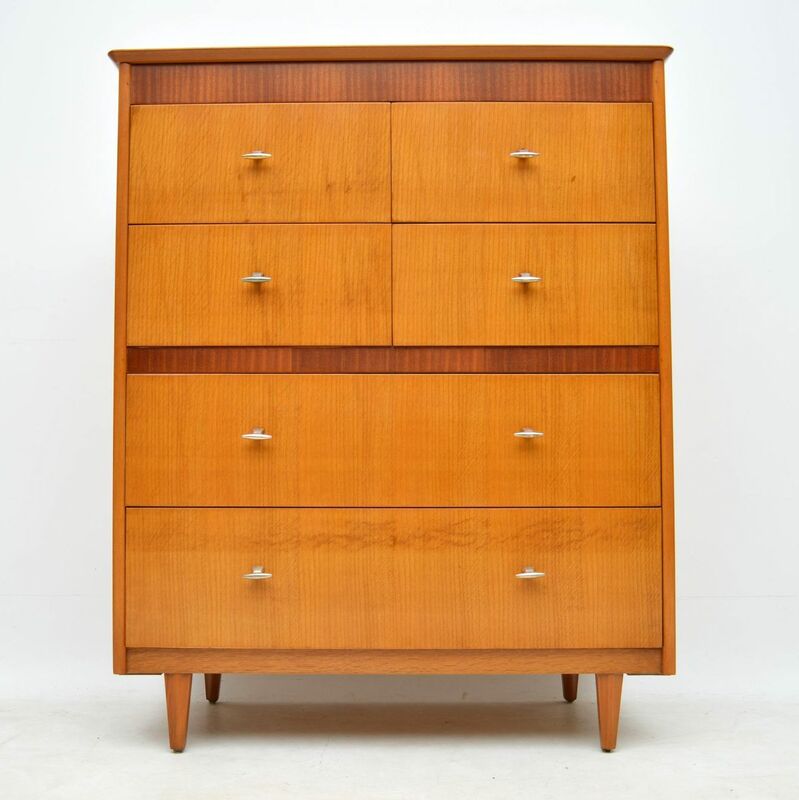 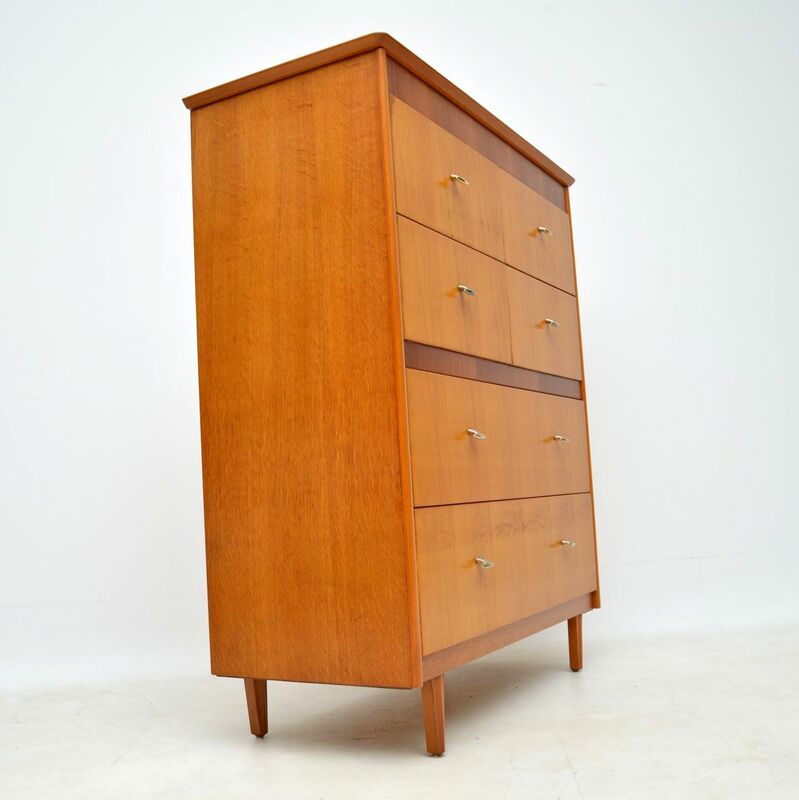 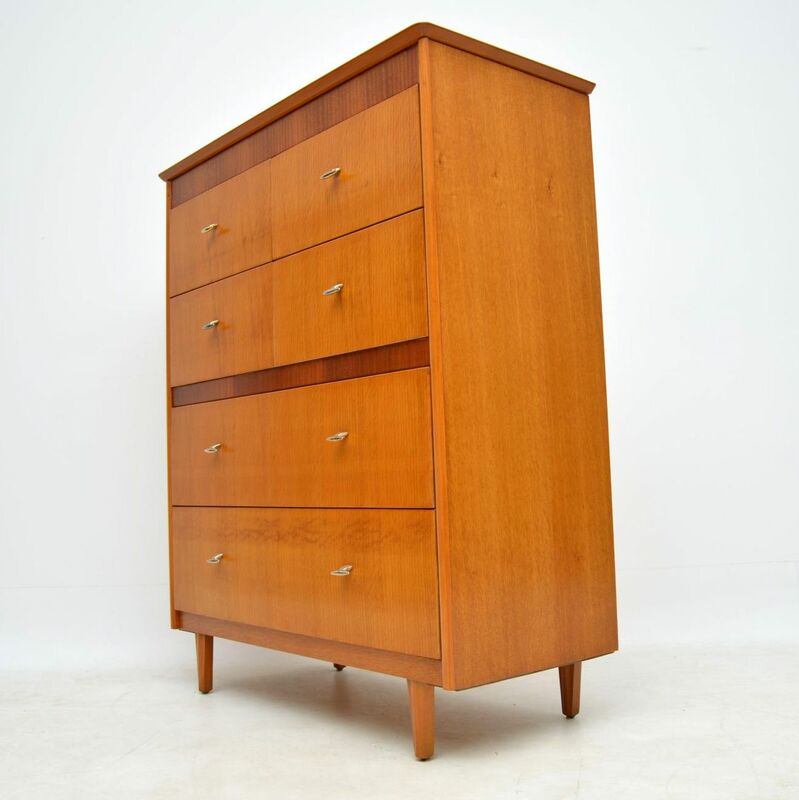 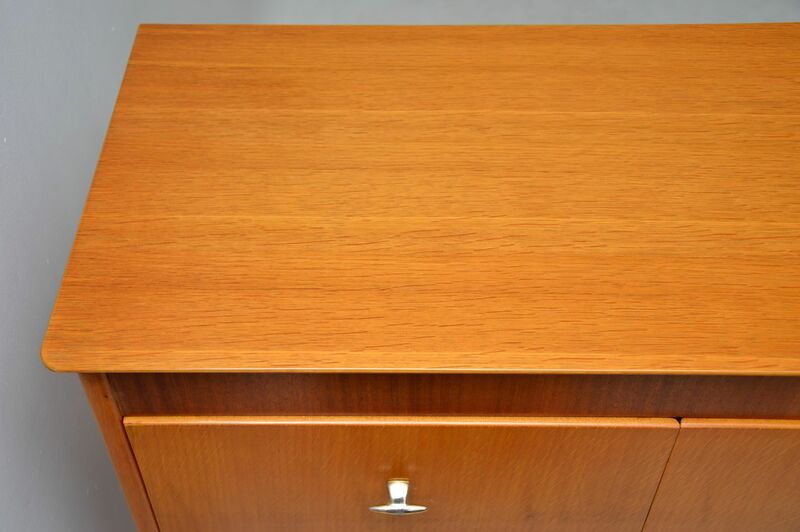 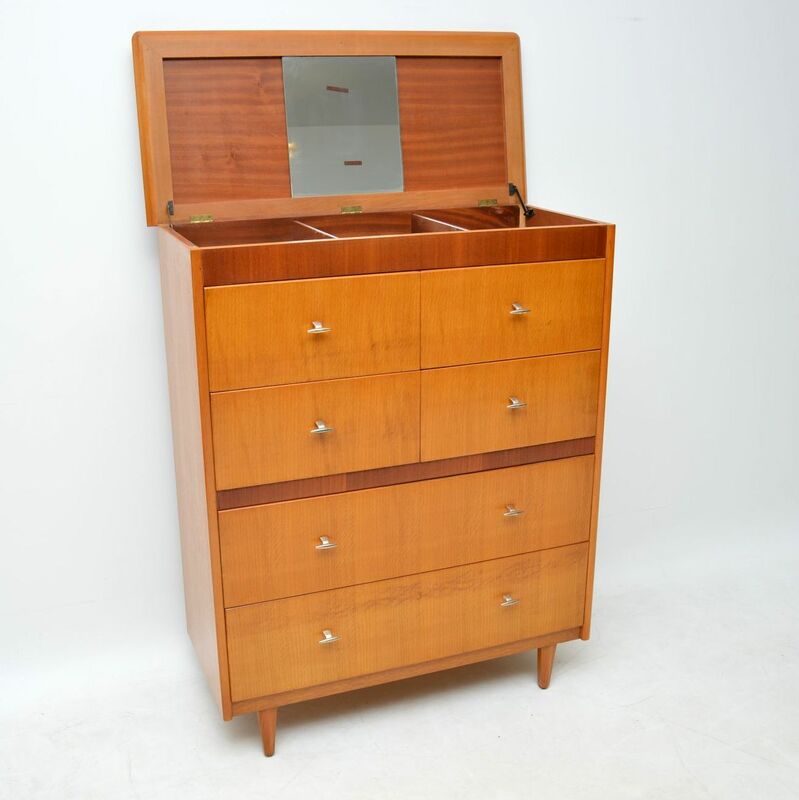 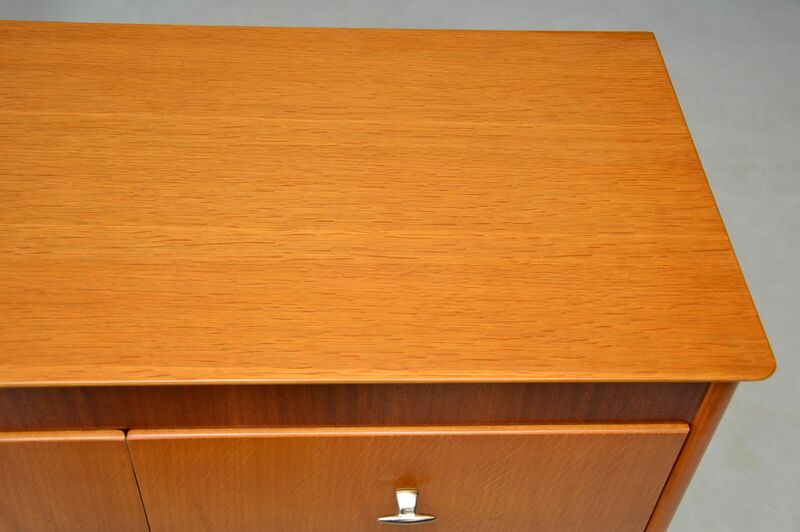 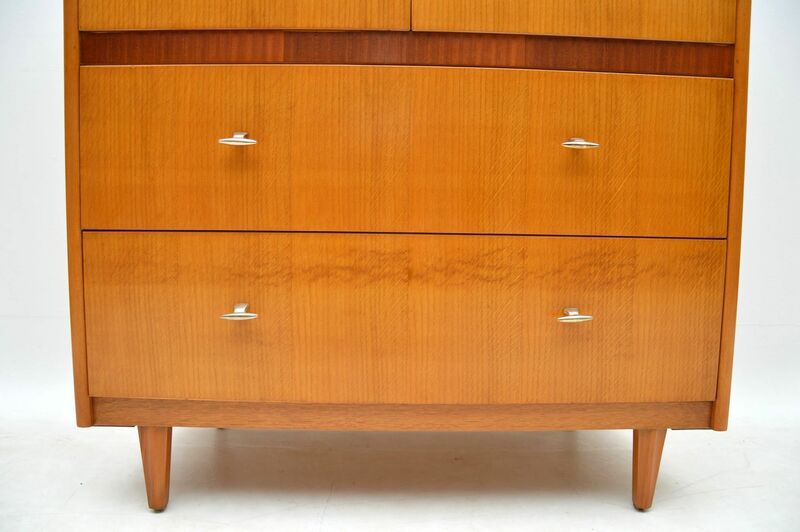 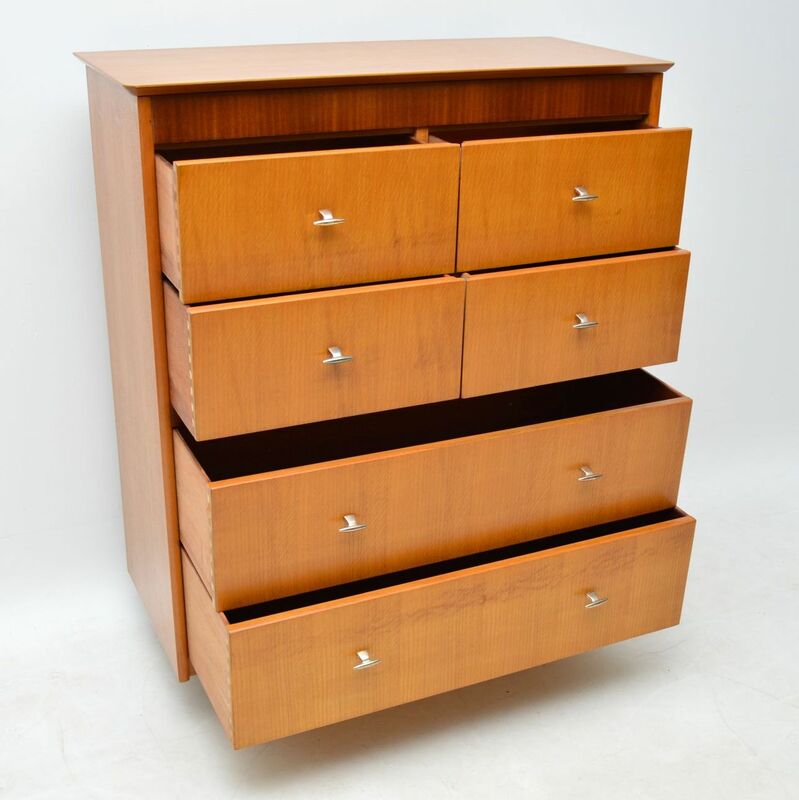 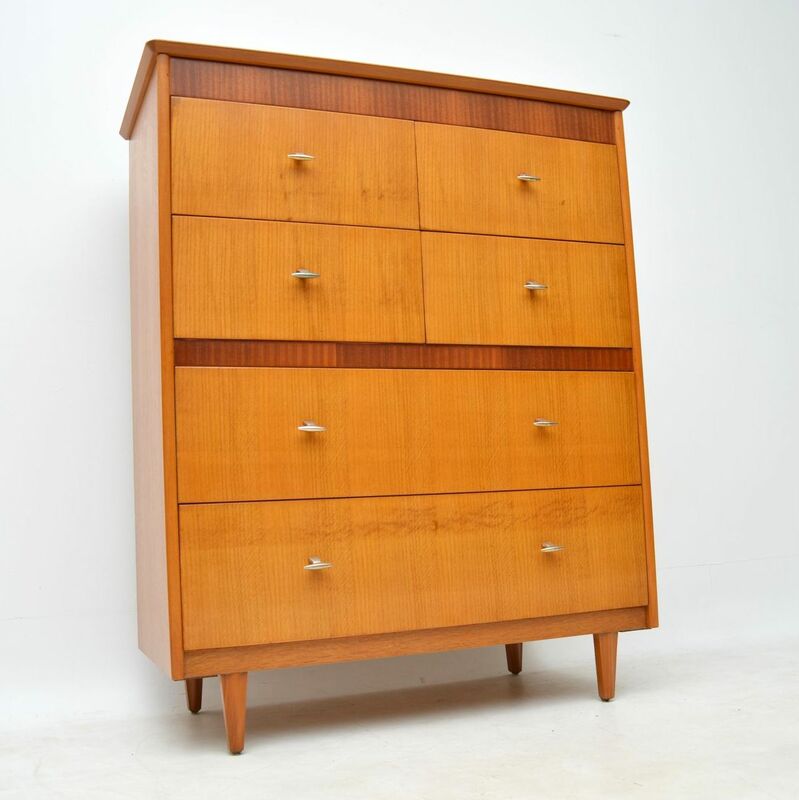 A large and very stylish vintage chest of drawers in oak and walnut, this dates from the 1950’s. 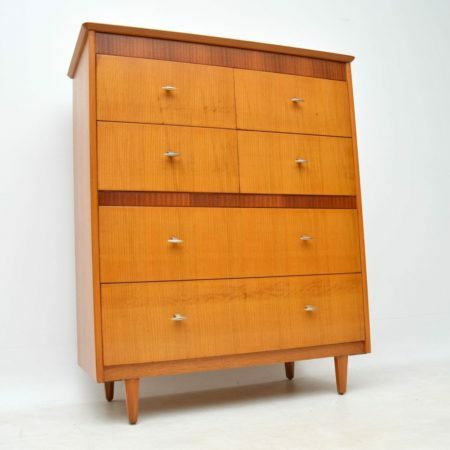 It’s a very useful piece, with lots of storage space. 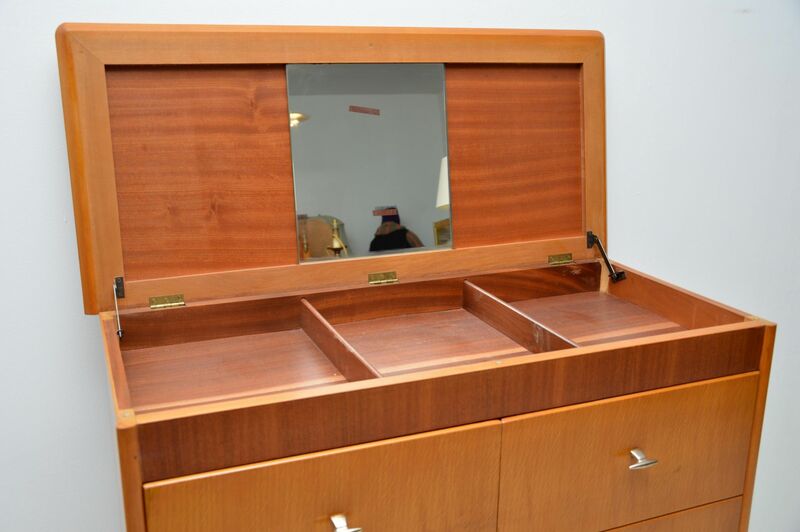 A great feature of this, is that the top flips up to reveal a mirror and further compartments for storage. 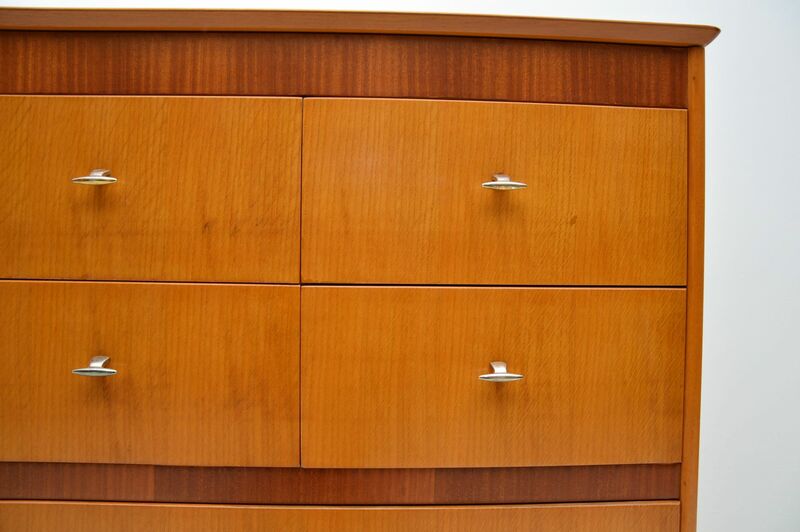 We have had this stripped and re-polished to a very high standard, it’s in excellent condition for its age. 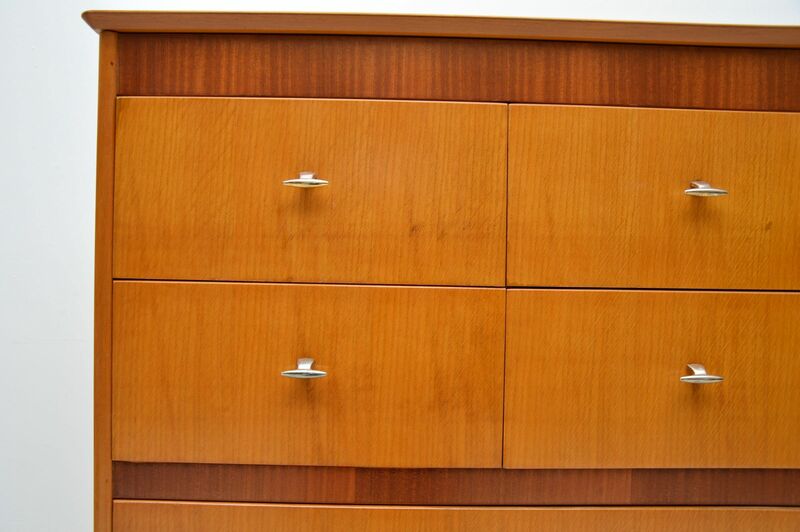 Just a few light marks remain beneath the polish here and there, commensurate for age.